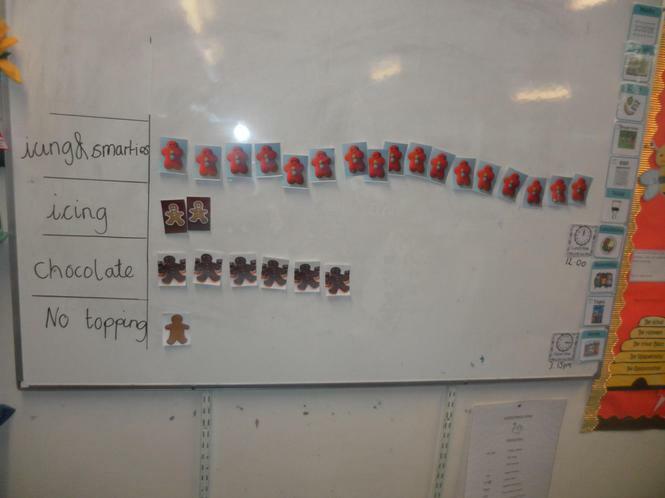 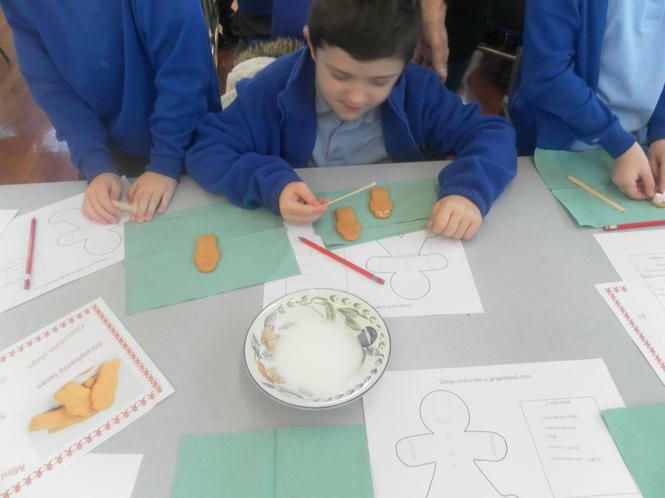 This week we have been planning for and making gingerbread men! 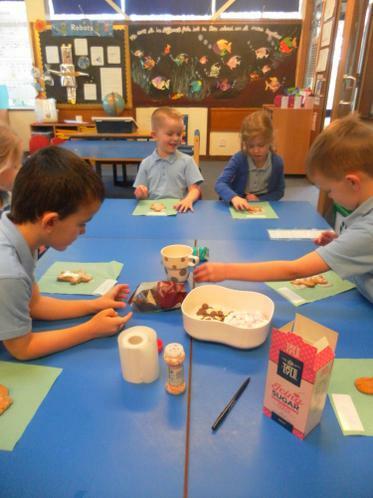 To begin with we wrote a list of ingredients to help Miss Edwards know what to buy from the shop ready for our baking session. 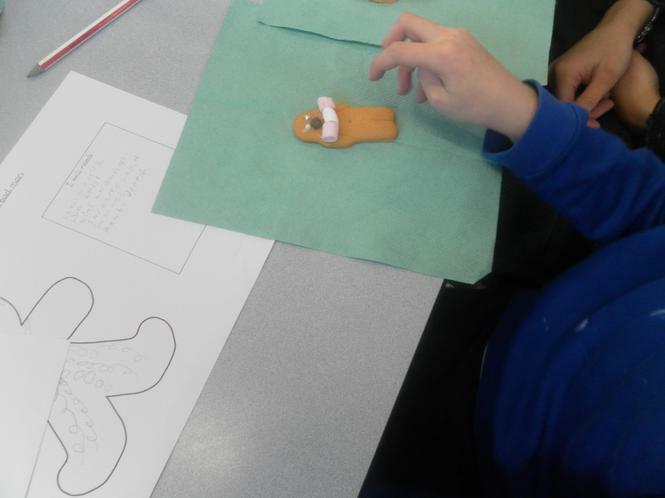 We then went through the instructions and in small groups had a go at making tasty gingerbread men. 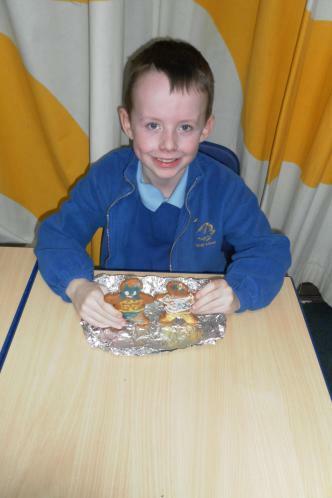 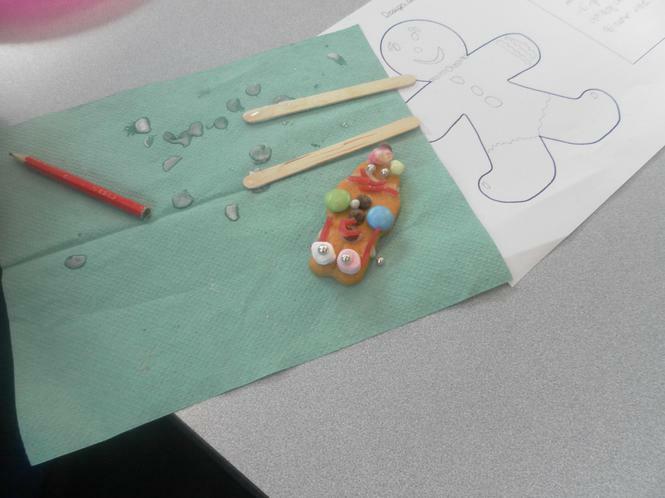 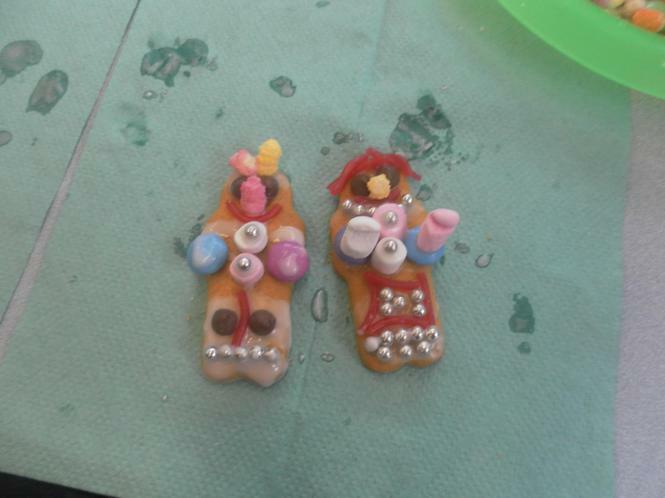 We then decorated our gingerbread men and had a gingerbread men picnic! 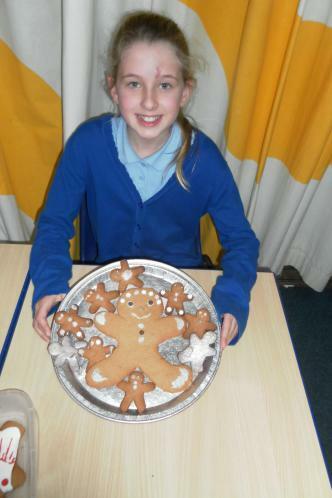 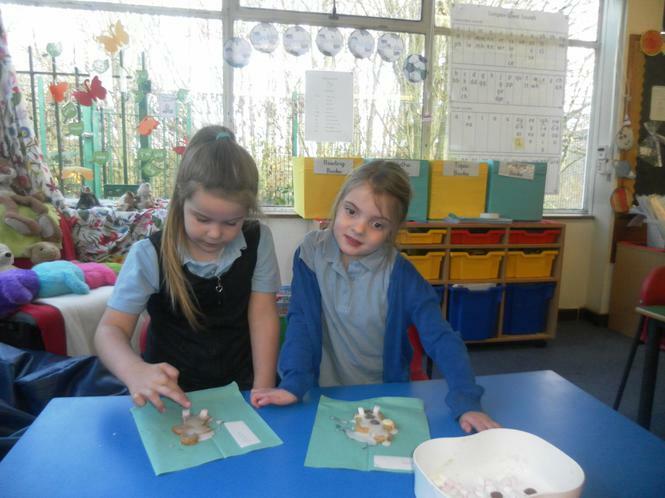 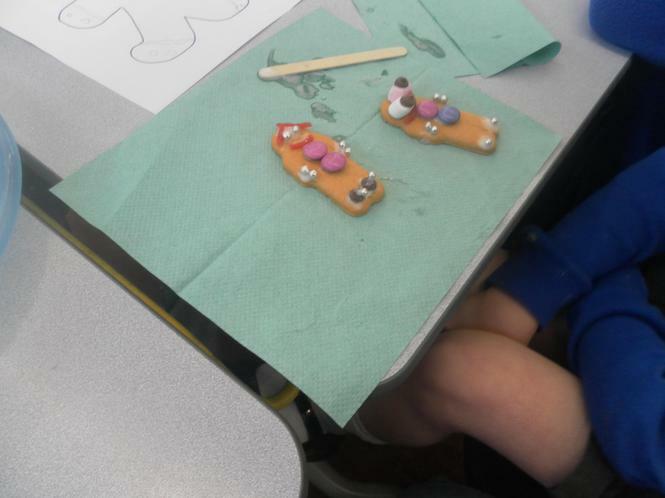 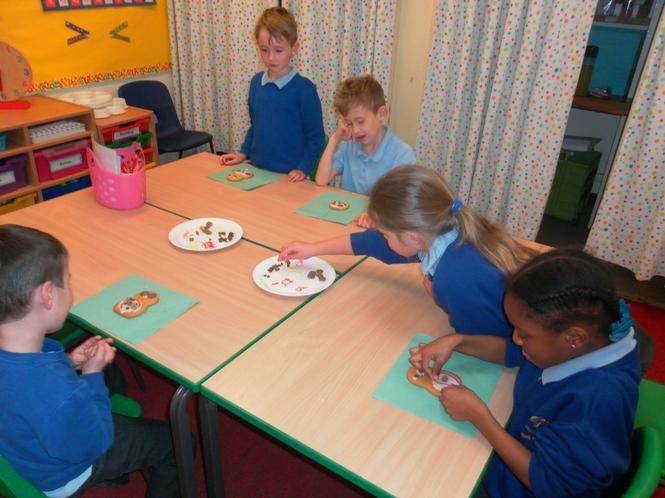 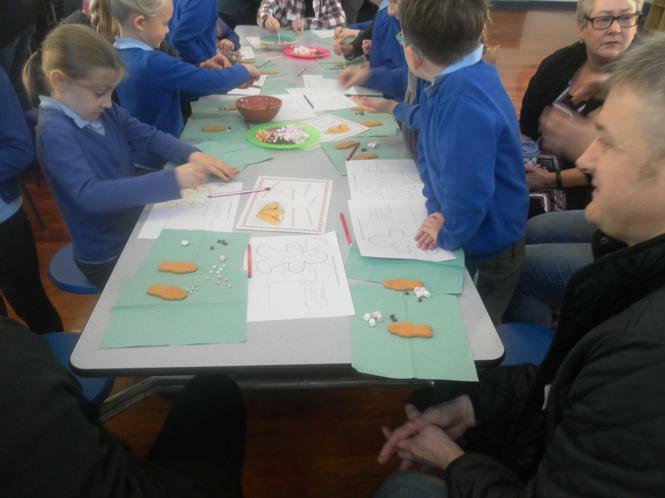 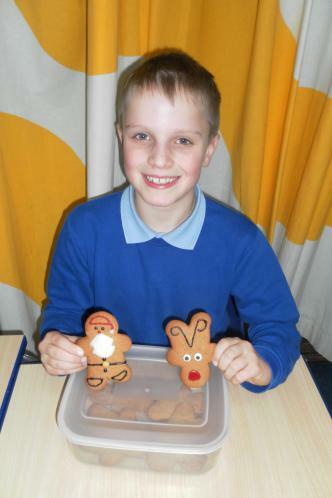 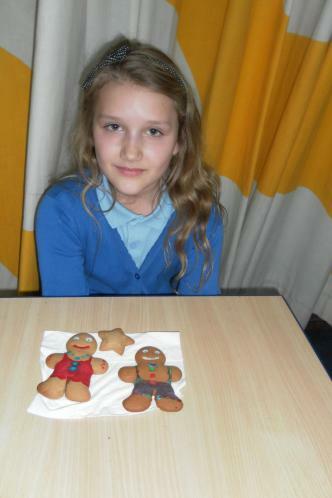 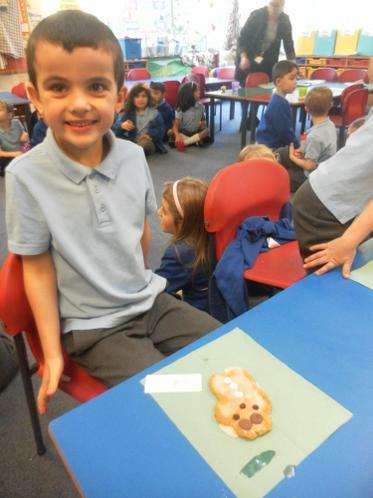 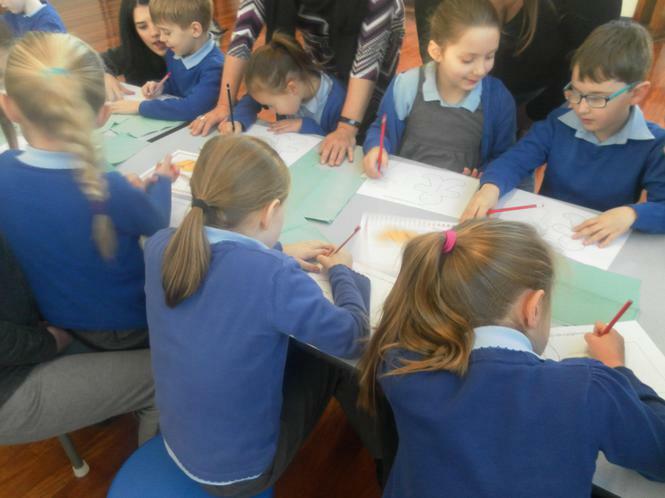 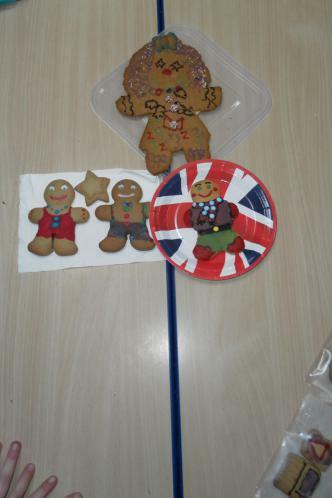 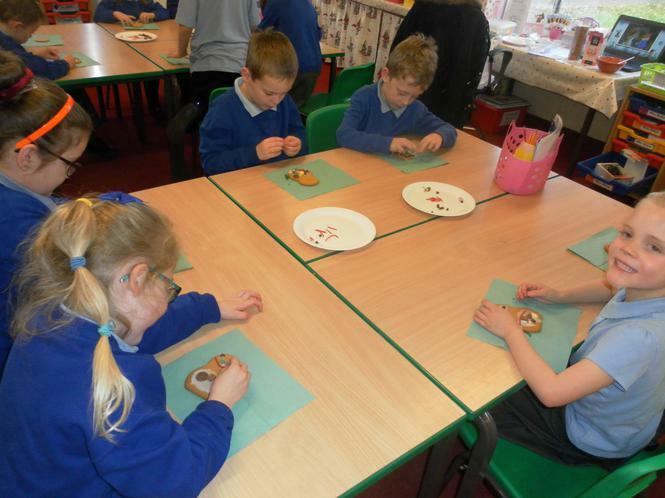 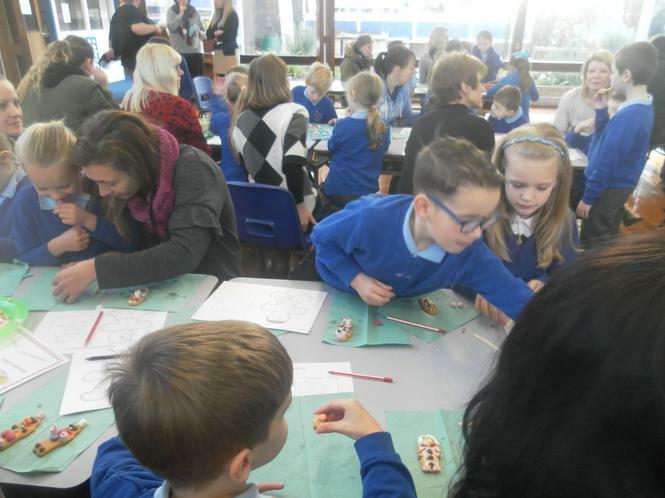 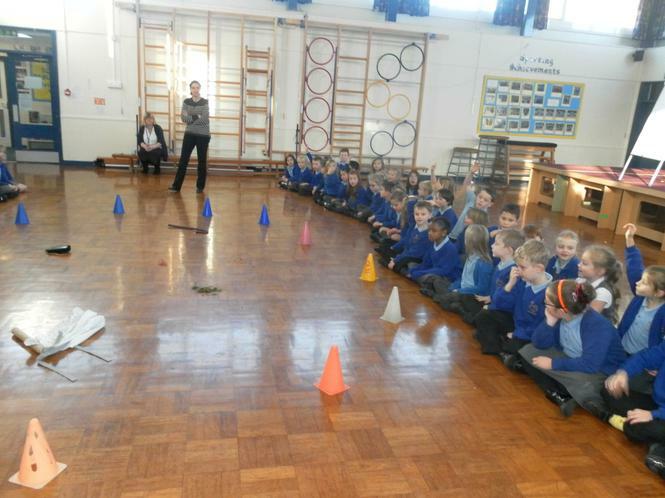 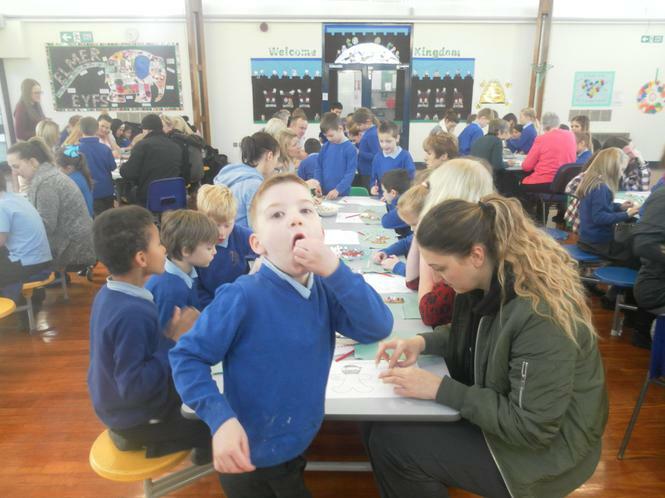 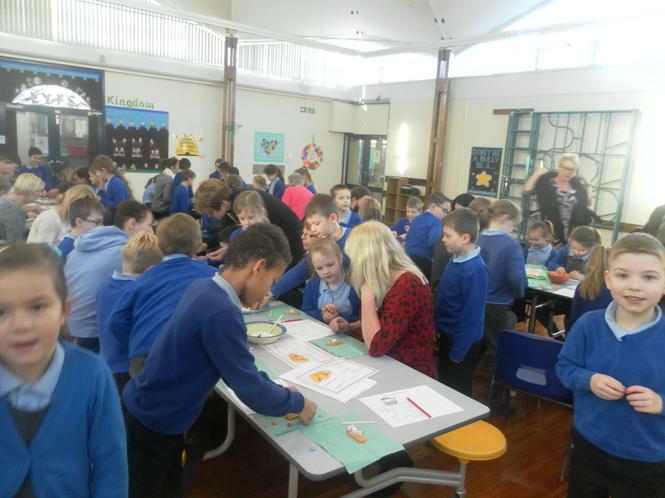 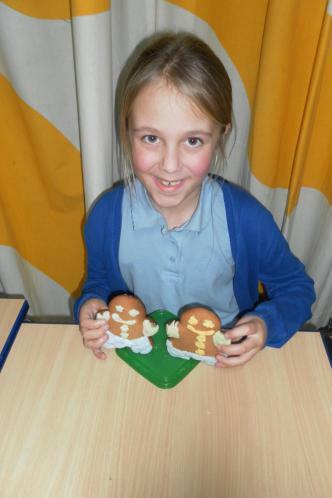 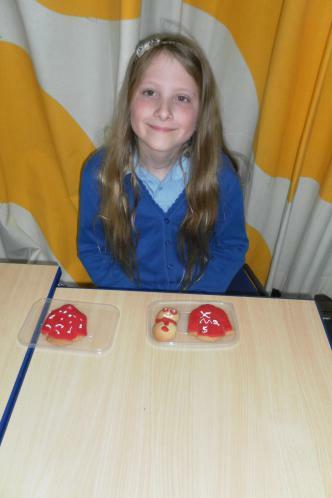 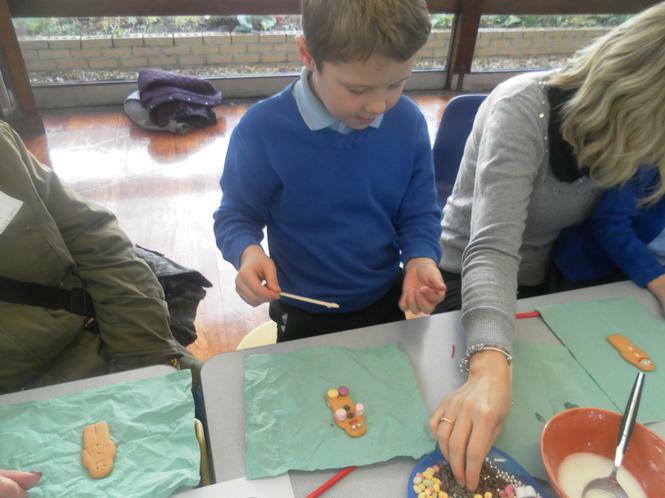 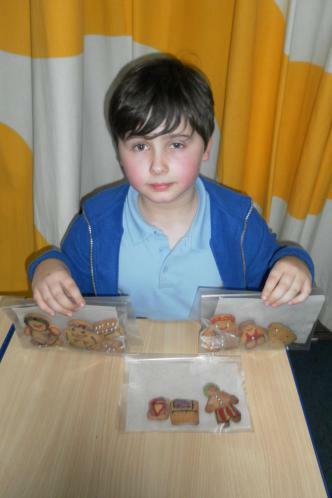 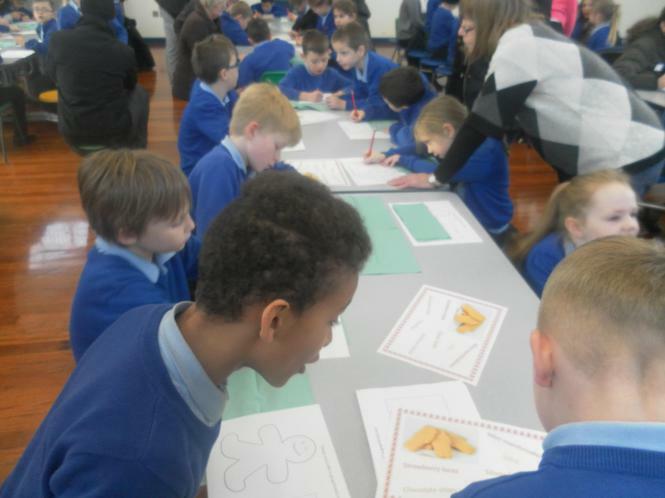 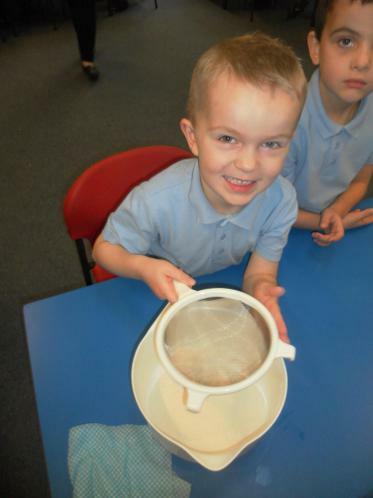 During our “Gingerbread week” Year 2 did some very exciting activities! 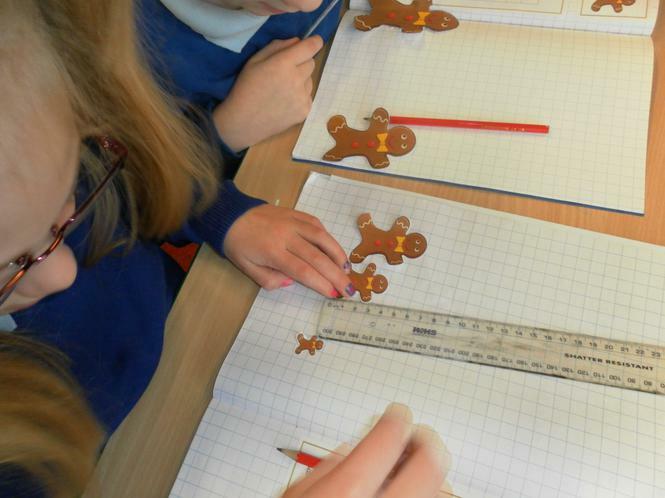 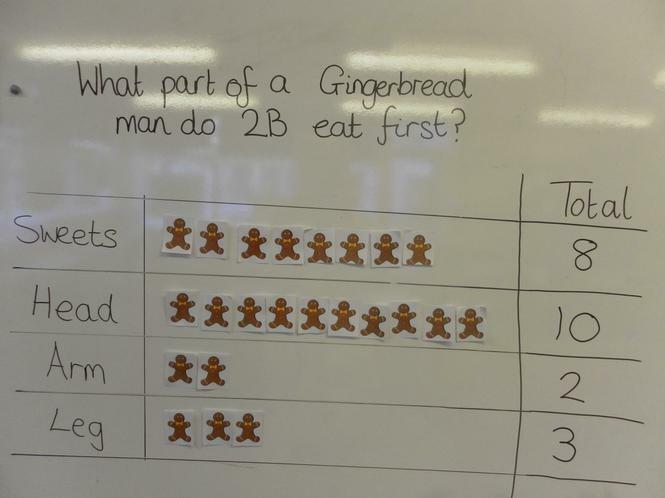 Our maths activities included designing and measuring gingerbread houses for our gingerbread men, creating symmetrical gingerbread men and collecting data to find out what part of a gingerbread man we eat first! 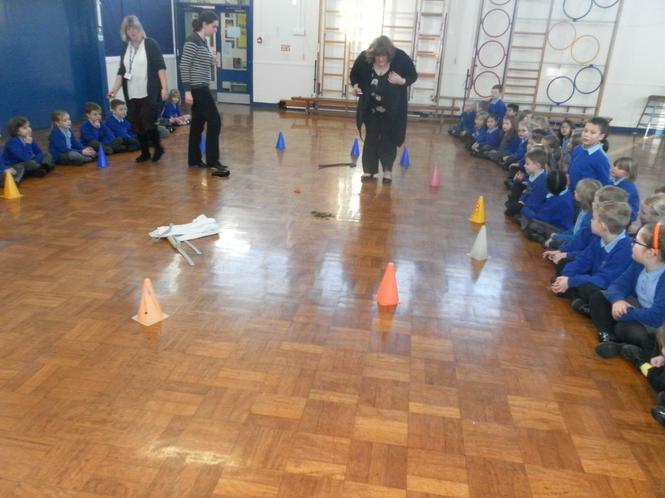 We also had a very dramatic day solving a crime in our school! 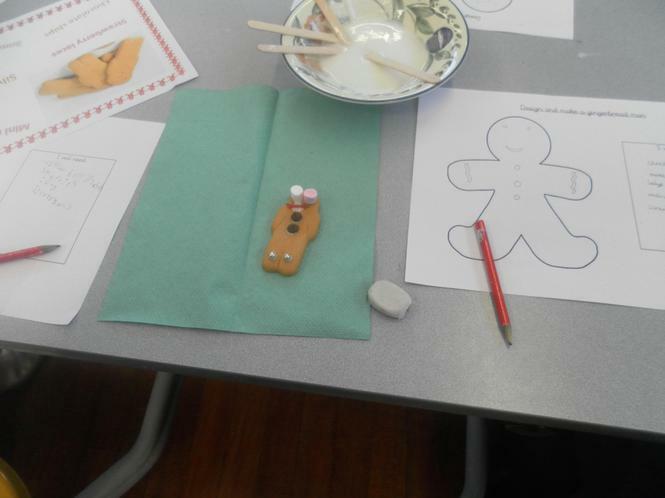 We found a crime scene in the hall and only crumbs of a gingerbread man left as evidence, we had to follow the clues and then write a newspaper report about what had happened throughout the week! 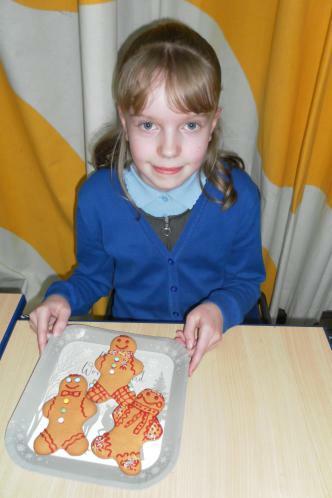 Then of course we decorated and tasty some tasty gingerbread for ourselves! 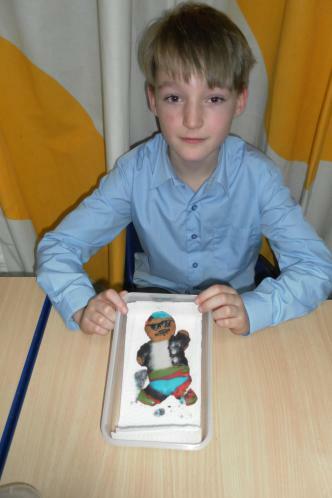 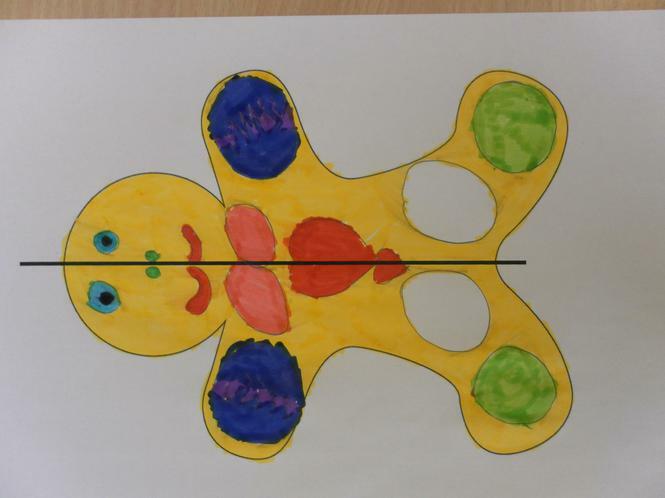 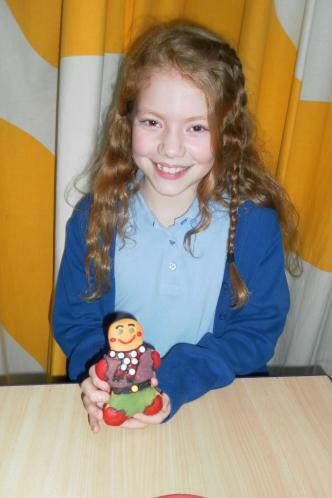 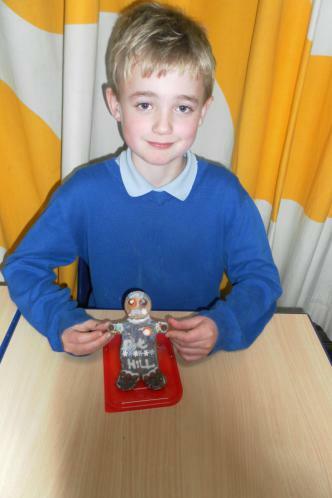 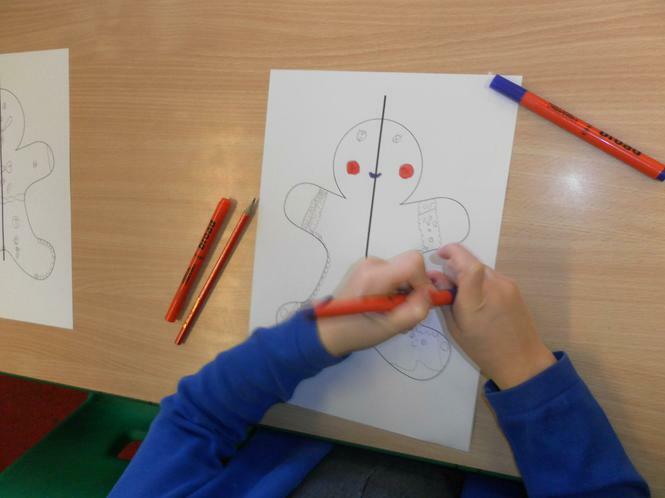 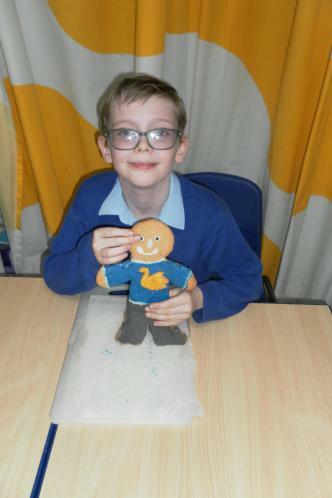 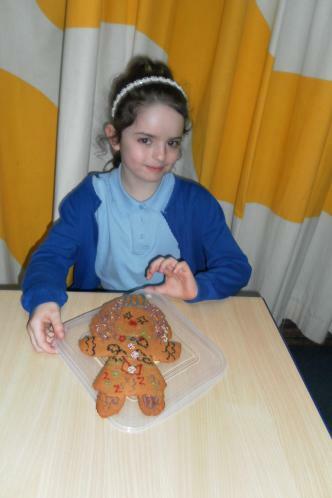 On Friday 1stDecember 2017, Year 3 children invited an adult to come into school and decorate a gingerbread man as part of Gingerbread week. 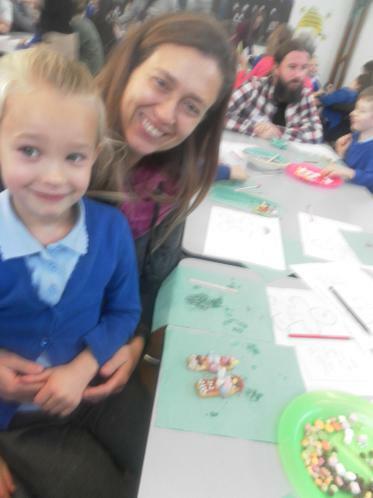 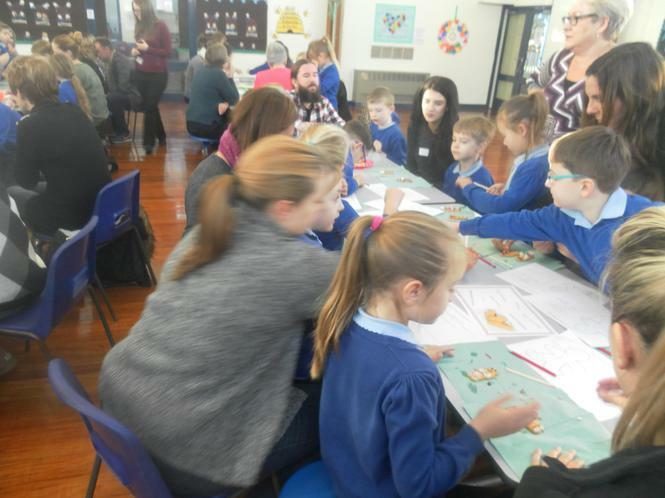 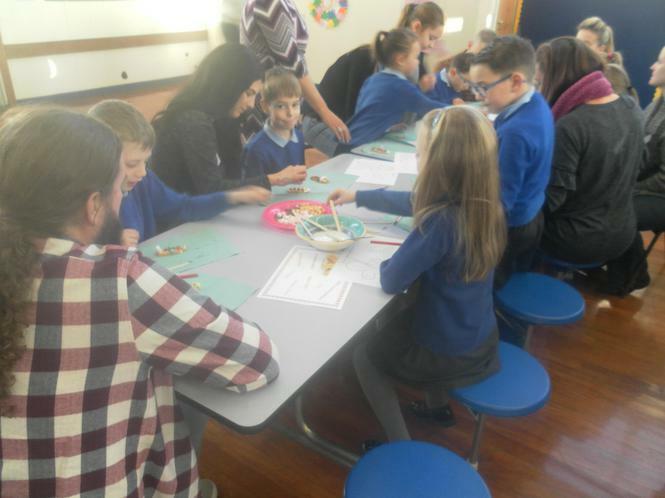 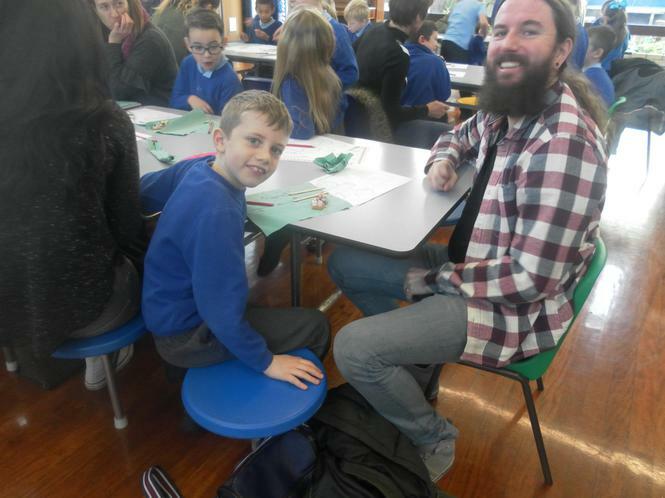 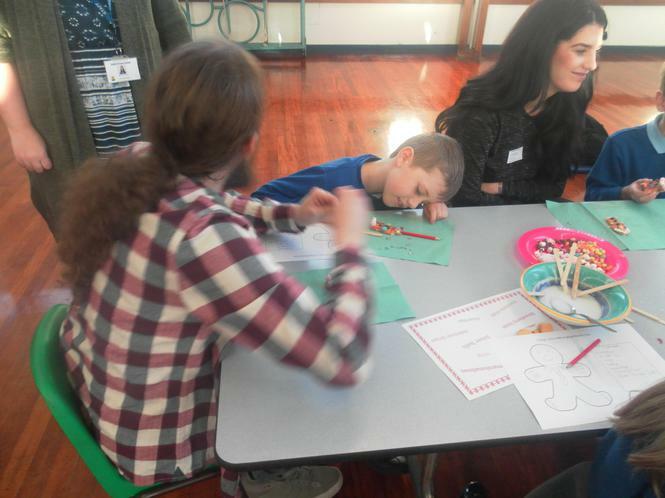 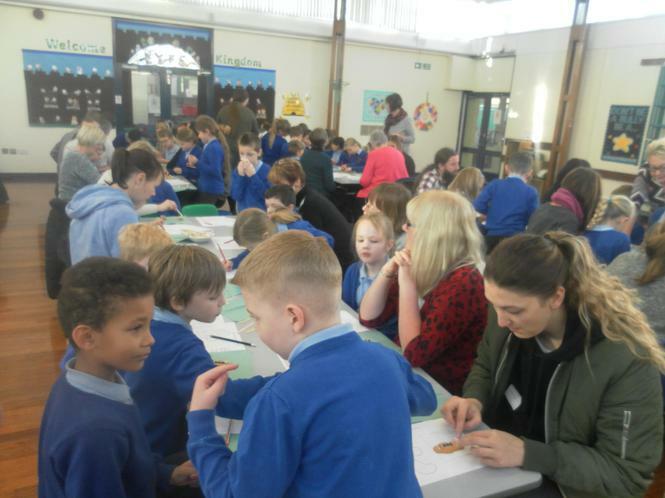 We all had great fun designing, decorating and eating the gingerbread and we enjoyed sharing this experience with our grown-up. 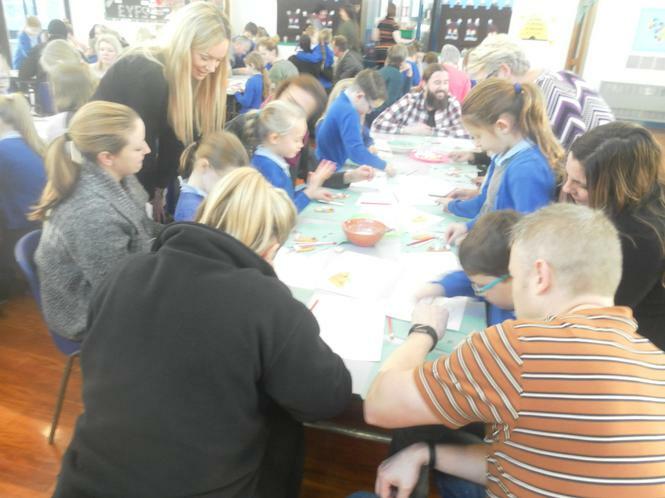 Thank you to all the adults who were able to come along and join in with us! 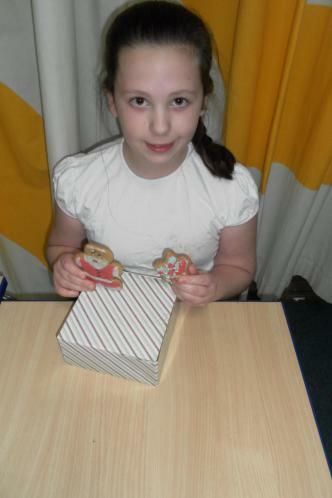 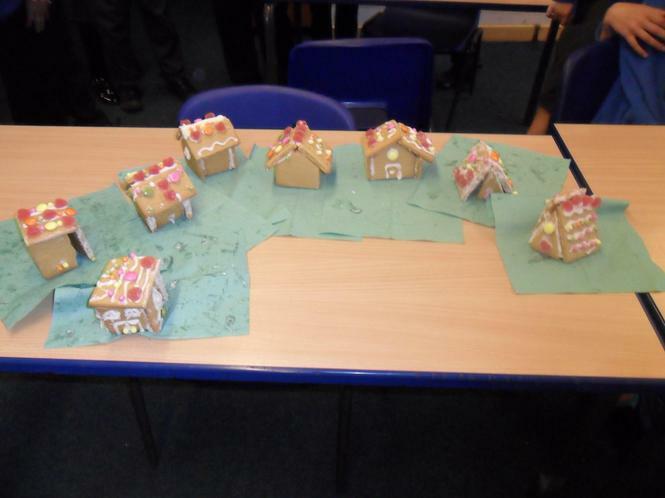 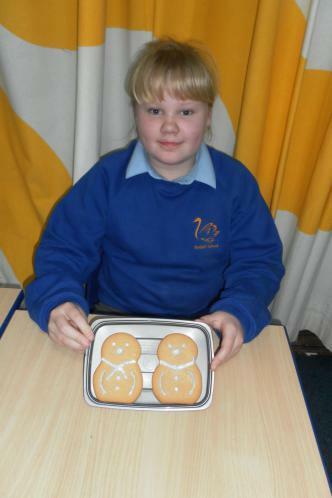 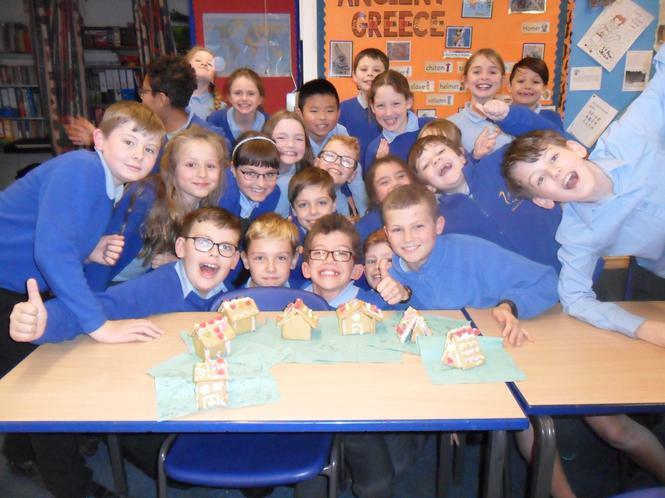 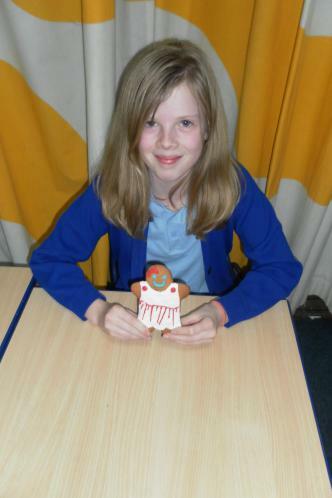 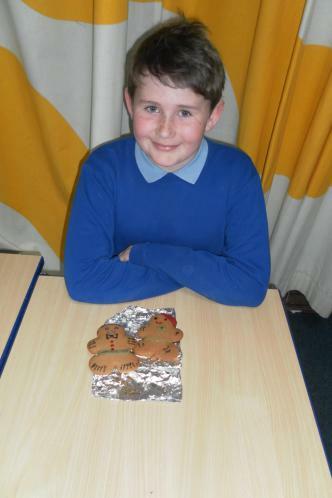 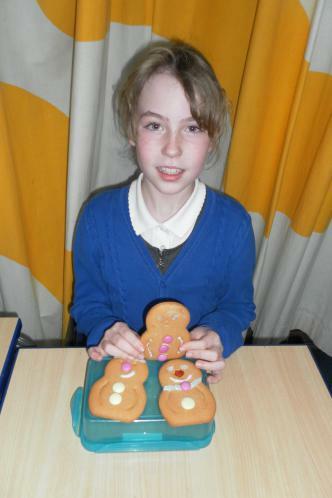 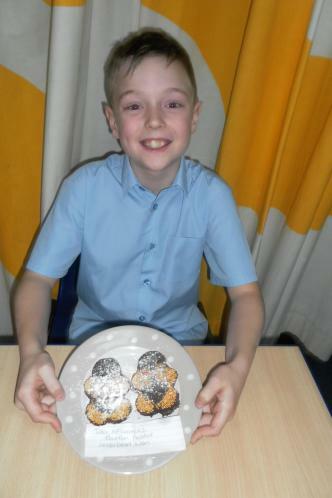 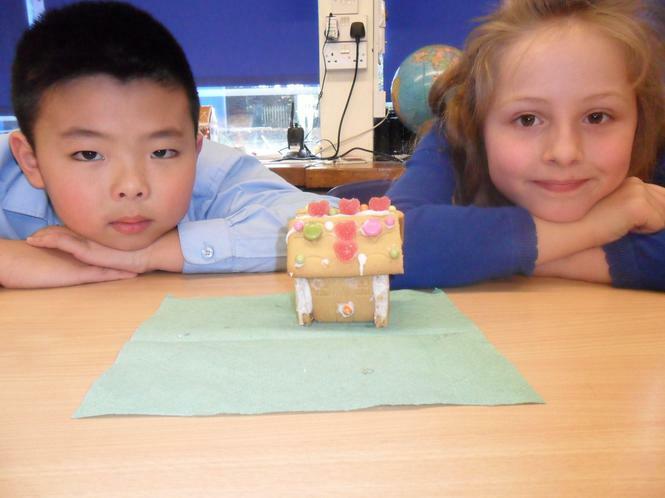 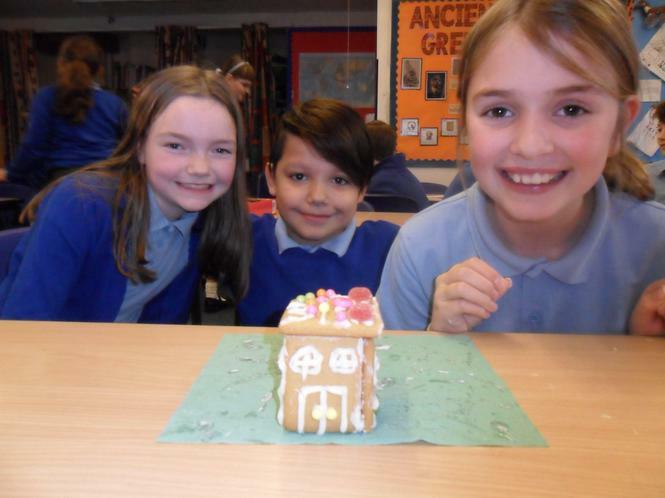 On Thursday 5T created a gingerbread house village from pre-prepared gingerbread and then ate them – yum!